It is rare for a property the caliber of Winter Haven Farm to come on the market. 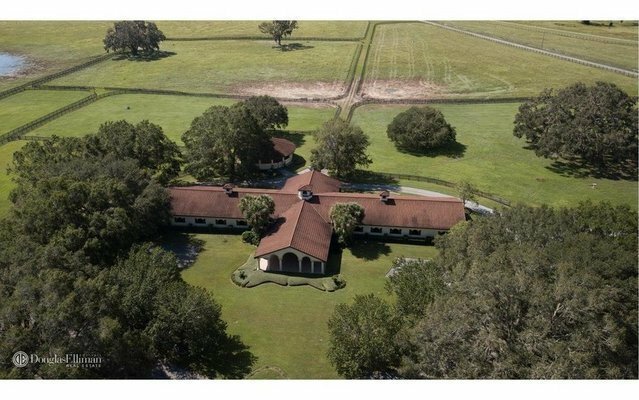 It is truly one of the horse worlds trophy properties comprised of 1086 Acres. The property today includes a total of 3 residences, 4 barns with a total of 52 stalls, 1 office within Main Barn, 1 small office at the Training Barn, maintenance sheds, hay storage building, round pens, wash stalls, loading ramps and four board fencing with associated site improvements, as well as a 5/8 mile grass track. Set in Marion County, a major world thoroughbred center with over 1200 horse farms, including about 900 thoroughbred farms, totaling some 77,000 acres. Ocala is well known as a ''Horse Capital of the World. ''Single Family Home Bed Bath count comprise of a 3/2, 3/3, 3/2 along with two 1 bedroom apartments.